As much as we love exercise (and you know we do!) exercise alone will not get you a toned stomach. Turn salads into meals. Add a serving of lean protein to a large pile of greens for a guiltless meal. *Try the recipe for Sweet & Smokey Chicken below and serve it on a bed of greens. 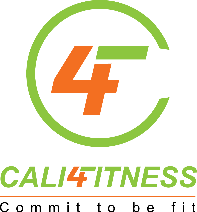 We’re here to help you meet your fitness and weight loss goals, so guarantee your results by teaming up with Cali 4 Fitness. You deserve that fit and attractive body – We can help you get it. This chicken has awesome flavor and is quick to make on a weeknight. Serve with a leafy green salad and a side of asparagus or broccoli for the perfect flat abs meal. Rinse the chicken and pat dry. Place in a large ziplock bag. In a small bowl combine the remaining ingredients. Add to the ziplock bag and toss until the chicken is fully coated. Place the coated chicken thighs on a broiling pan. Bake for 40 minutes.